I'm available to give lectures, trunk shows and/or classes. The cost of travel, lodging and meals are the responsibility of the guild. Due to actual quilts being shown in the trunk shows, I prefer to drive anywhere within 300 miles. In that case, travel cost will be at the IRS mileage rate. This is a small sampling of the services I offer. I've currently taught classes for my quilt guilds, as well as for retreat projects. In addition, I teach at local sewing centers and provide lectures at local quilt guild meetings. 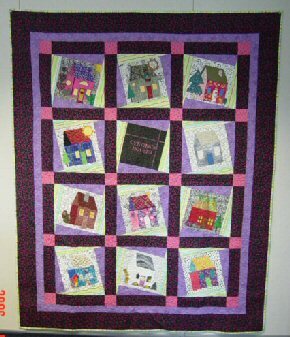 Scrap Quilts - lecturer series that gives a history of scrap quilts and gives examples of various types of scrap quilts. Also included is how to organize your scraps and time saving techniques. I'm constantly making new quilts to add to this lecture. 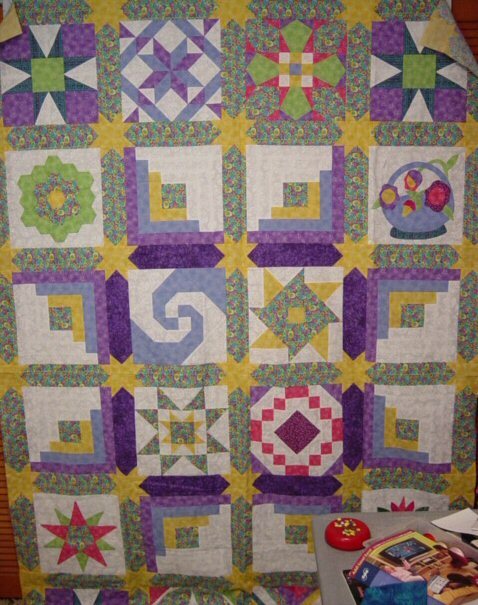 If you haven't seen my quilts within the last 3 years, you're missing a treat. 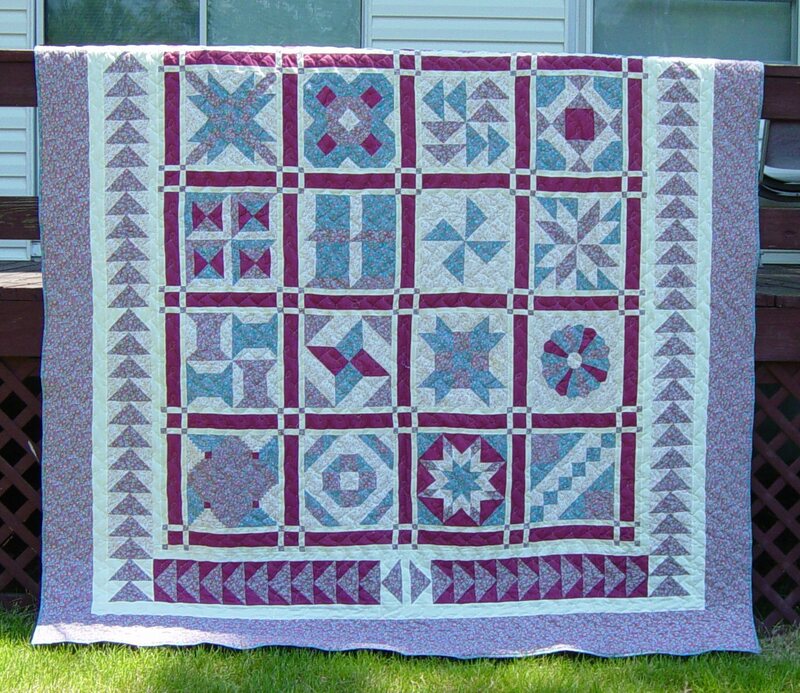 Sampler Quilts - Lecturer/trunk show that gives a history of sampler quilts. Actual sampler quilts will be shown with different sashing and border options. Machine Embroidery in Quiltmaking - The lecture will give tips for incorporating machine embroidery designs not only in clothing, pillows, and other traditional items, but encouraging the use in quilts as well. I have different methods for quilting the design, including when to quilt. 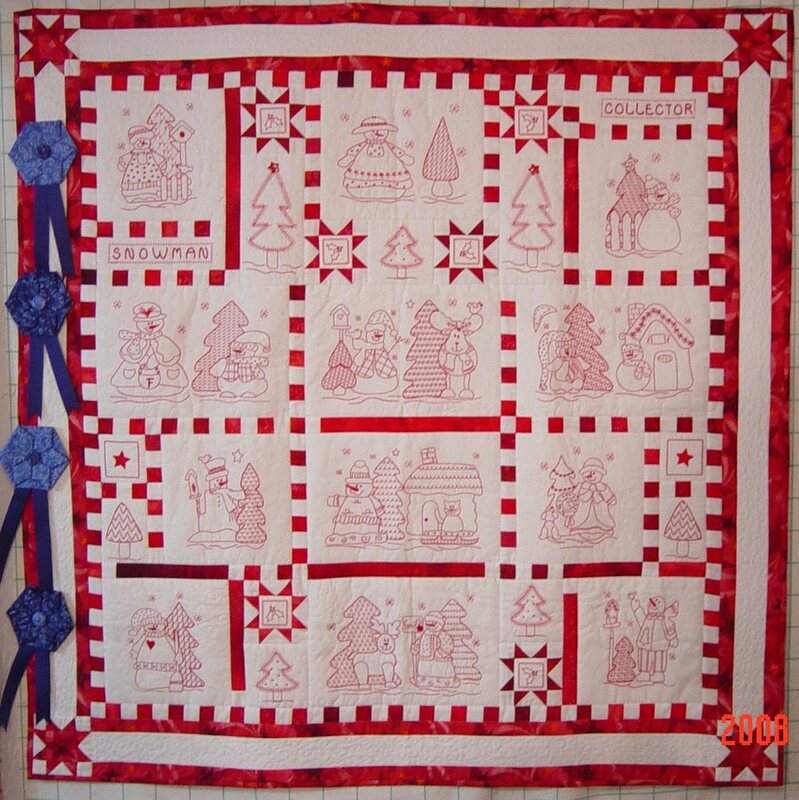 Incorporating machine embroidery into traditional quilt patterns is also covered. Trunk show of embroidered items from free standing lace, embroidery in-the-hoop items, home decor items, etc. Rotary Cutters, The Next Generation - Lecture/trunk show about the different types of rotary cutters, mats, and rulers available to efficiently make quilts. Lecture also go over guild optional blocks and suggestions for making sure blocks will end up being the same size. 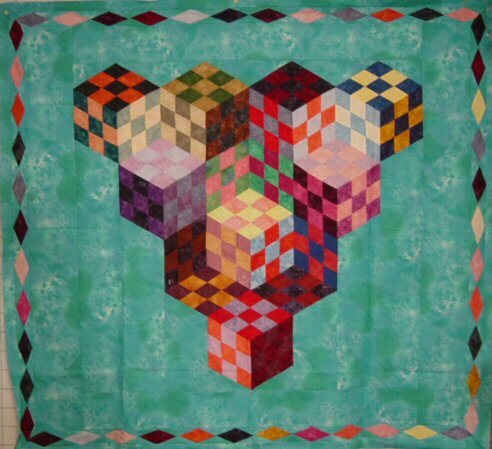 Included in the trunk show are quilts made from swap blocks and guild optional blocks. Jack of all Trades Trunk Show - trunk show that features at least 100 quilted items. Shows the progression of my quilt making along with various quilting techniques being presented throughout the lecturer. 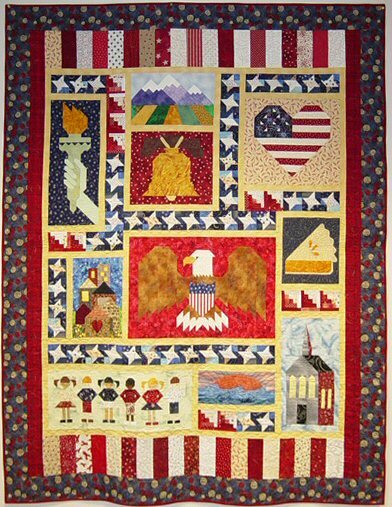 Not Just Christmas in July - trunk show that features Patriotic and Christmas quilts. Classes - I teach a variety of quilt classes that focuses on any quilting technique. Classes are customized to the skill level of the participants. I'm also available to conduct Block of the Month classes that introduces a new quilt making technique or two monthly. Click here to see results from a sweatshirt class.